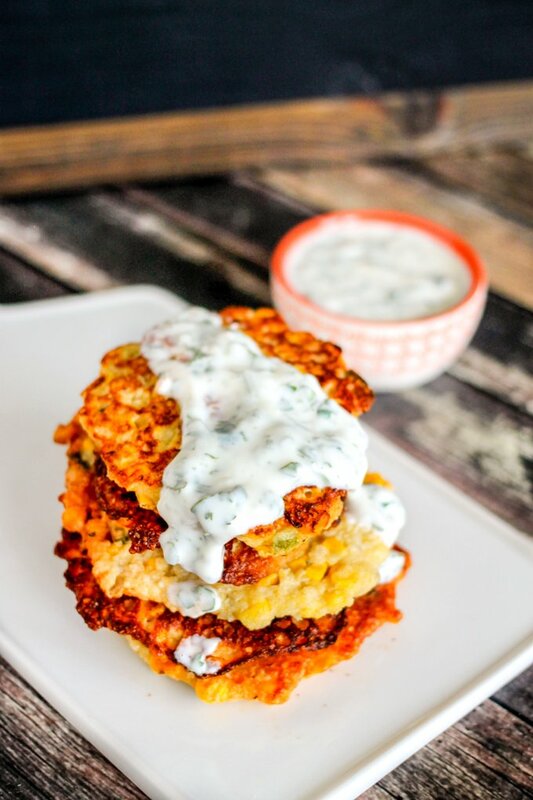 Spicy Corn Fritters with Cilantro Lime Sauce are a simple recipe that highlights fresh summer corn! As you know, I was in Iowa a few weeks ago for #IACornQuest 2016! 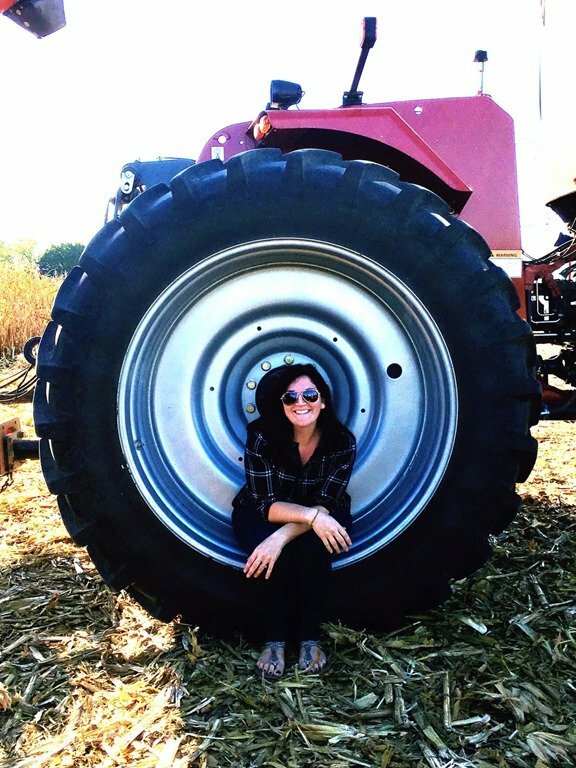 I had the opportunity to head to Iowa and learn all about corn farming from IA Corn! It was totally awesome, and I was very inspired to whip up some corny (har har) recipes when I returned home. 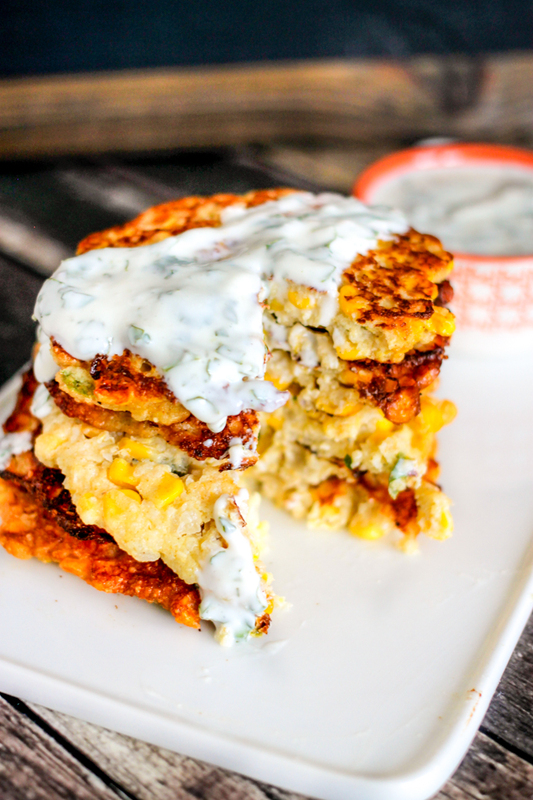 These Spicy Corn Fritters turned out really delicious, and I topped them with the most cool tasty cilantro lime cream as well…so yum! 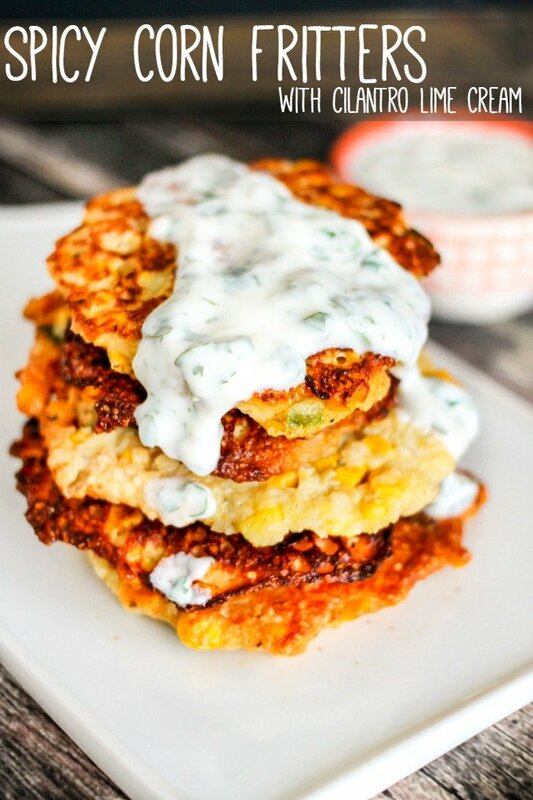 As a vegetarian, this was a very filling meal, but you could also serve these fritters alongside some chicken breast or even a hamburger! I ended up adapting this recipe from Alexandra’s Kitchen, but it was a little confusing…mostly because it was up in the air what you should do with the eggs. Two eggs? Three eggs? Four eggs? Just egg whites??? Ummm, help!! After reading the comments people left for her, I decided to try just one egg. I cooked up my first fritters and they did not look how they should, and they were falling apart in the pan. I dumped them back into the bowl with the rest of the mix and added 2 more eggs to help bind it all together more. Success! I recommend 3 eggs for 2 cups of corn kernels, but you might want to play with it as well. As for the jalapenos, they didn’t add much heat, so even if you aren’t a fan of spicy I think you would like this…or just leave it out. 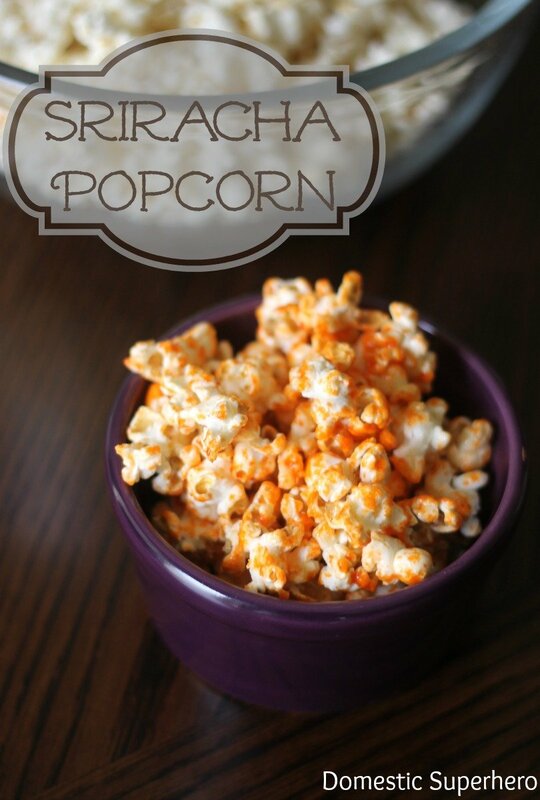 I had such a fun time working with Iowa Corn on this post as well as my last post, and I hope y’all love this recipe as much as I did! 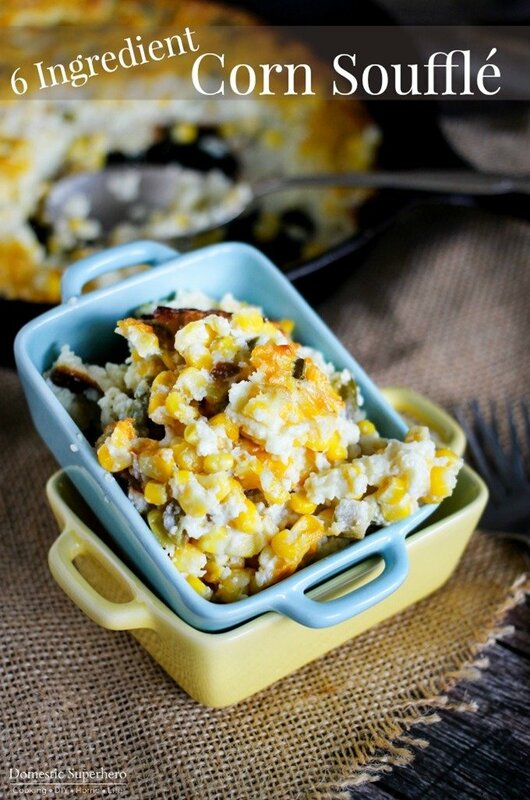 Adding corn back to recipes is a great way to keep the corn industry growing, and I suggest you take the time to look into corn related issues regarding GMOs, Ethanol production, and nutritional information. It was such an eye opening experience at the farms in Iowa! NOTE: Batter can be made ahead and chilled. 1. In a large bowl mix the grits, corn, shallots, jalapeño, cumin, salt and pepper. Add yogurt, 1 tablespoon olive oil, and eggs. Mix to combine. Let rest 5 minutes. 2. Set large nonstick frying pan over medium heat for 1-2 minutes. Pour in 1 teaspoon olive oil (or enough to just coat the bottom of the pan). Once hot, spoon 2 TBS of batter per cake into pan. Spread with the back your spoon to even out the batter (you don't want it too thick or thin!). 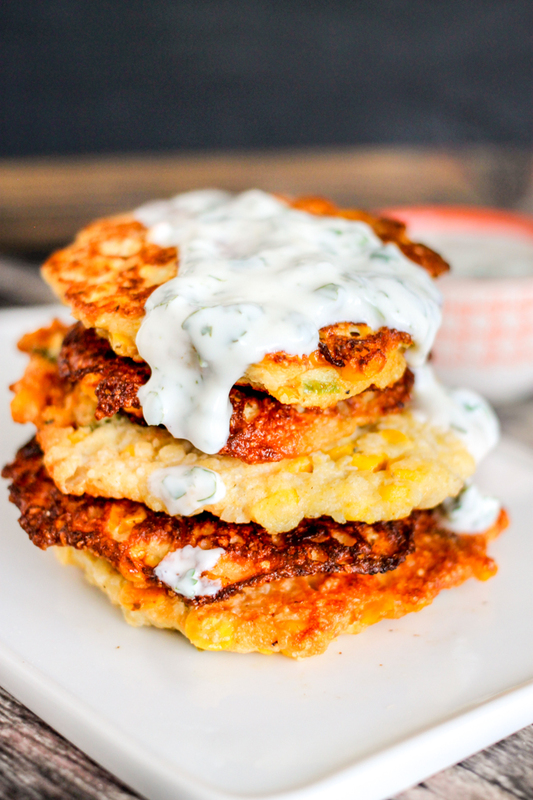 Make 3 to 4 fritters at a time. 3. Cook cakes 2-3 minutes, or until golden. Flip and cook 1-2 minutes, or until golden on the other side. Place fritters onto a paper towel lined plate to drain off grease. Repeat for all batter. 4. Mix Greek yogurt, lime juice, and cilantro. 5. 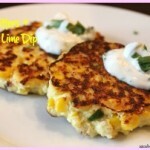 Serve fritters and drizzle cream over the top. Enjoy while hot! Want to hear more about #IACornQuest 2016?! Check out this awesome video recap from Iowa Corn! 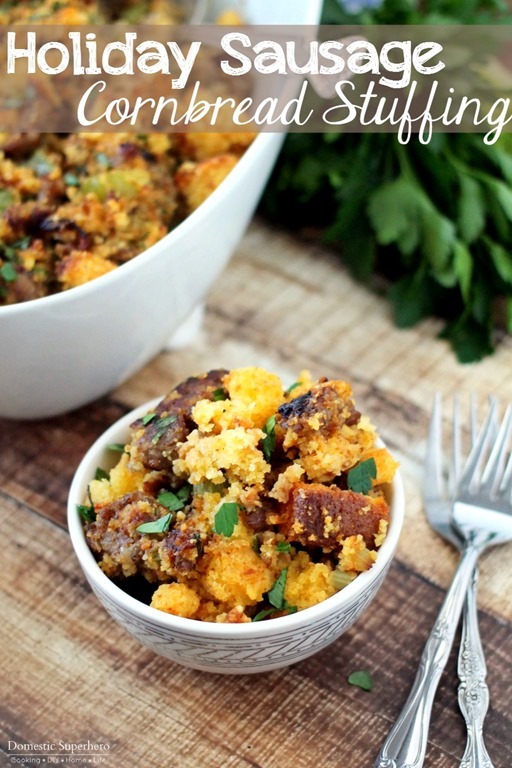 Thank you so much for this recipe, you might also mention that it is gluten free, which makes this recipe perfect for a dinner party with my friends’ many dietary restrictions! Can’t wait to try it! That is good to know! I didn’t realize that but will add it in the description! Thank you! Let me know how you like it! Okay, made them this morning for brunch. HUGE hit! I nearly doubled the recipe, using grits, 4 ears of corn and 4 eggs. I made the yogurt sauce, which was really good, as well as guacamole, spinach, and bacon, and let people top the fritters as they liked! Everyone loved that (with the exception of the bacon) we could all eat the same thing. Thanks again! Yes!! That sounds so good with the extra toppings! What a great idea!! I am happy that everyone liked them and they were easy for you to make!!! Cheers!